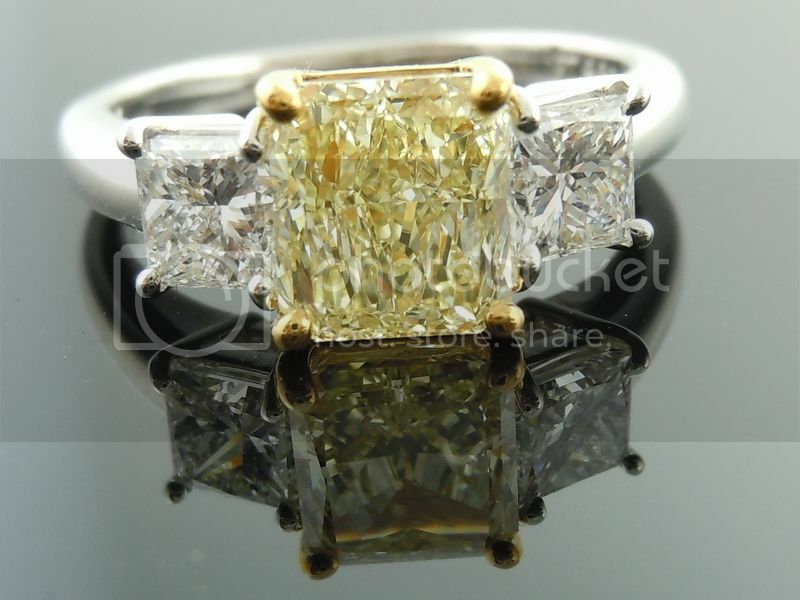 This is a wonderful three stone diamond ring. It is a trade up ring that we made in 2003. When we received the ring back, it was in immaculate condition. 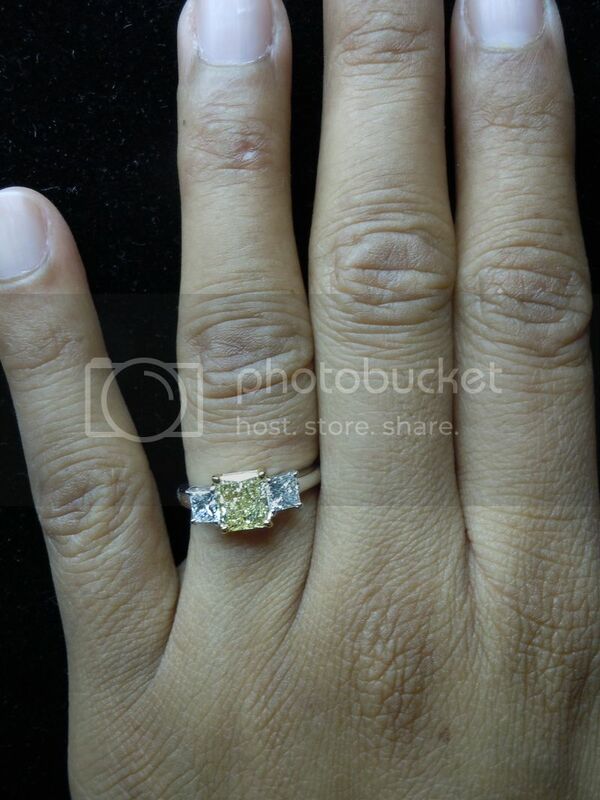 We will make sure that this ring goes out to you looking perfect. 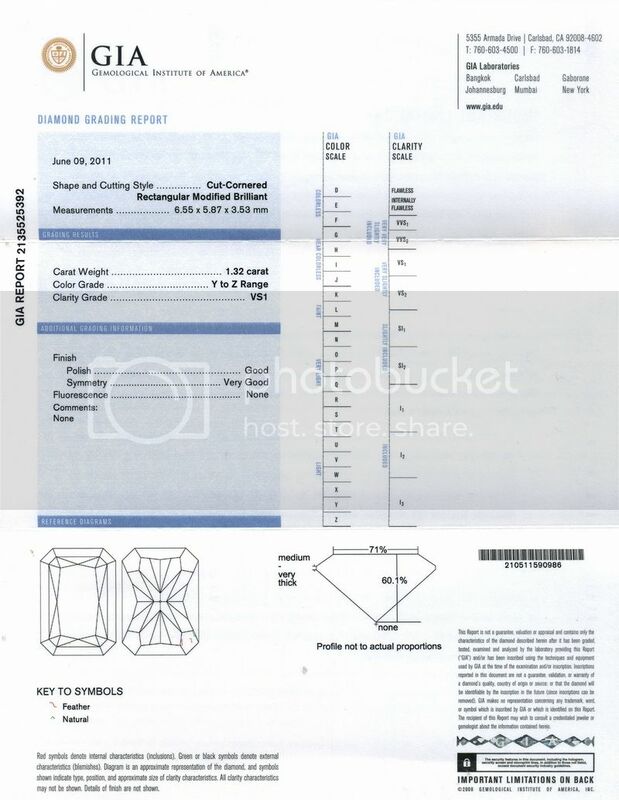 If we were to make this ring today we would list it at $7900. 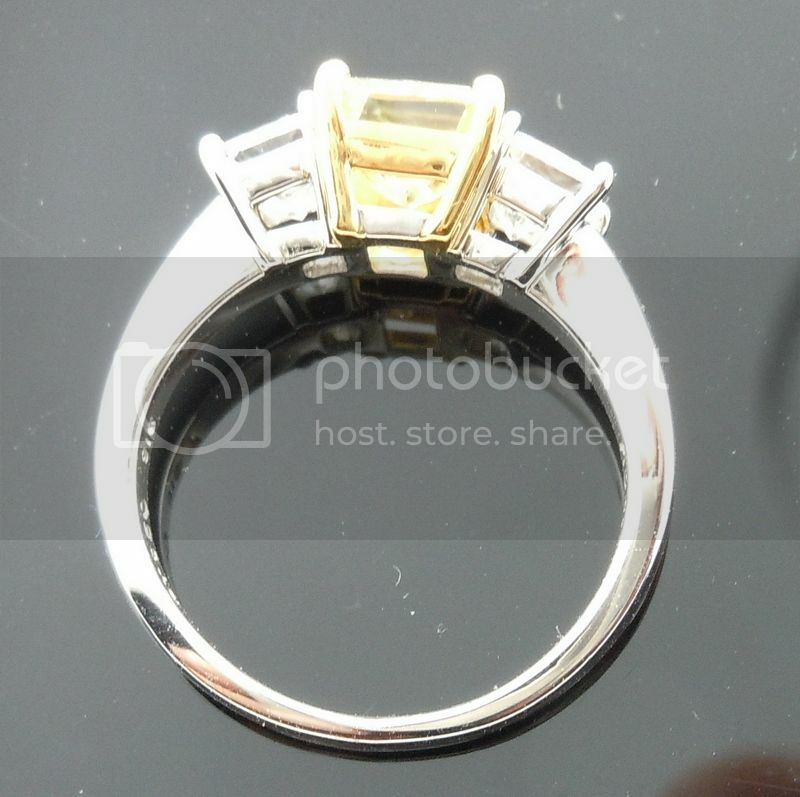 The trade in special price is $7399 which means buying this ring will save you some money. 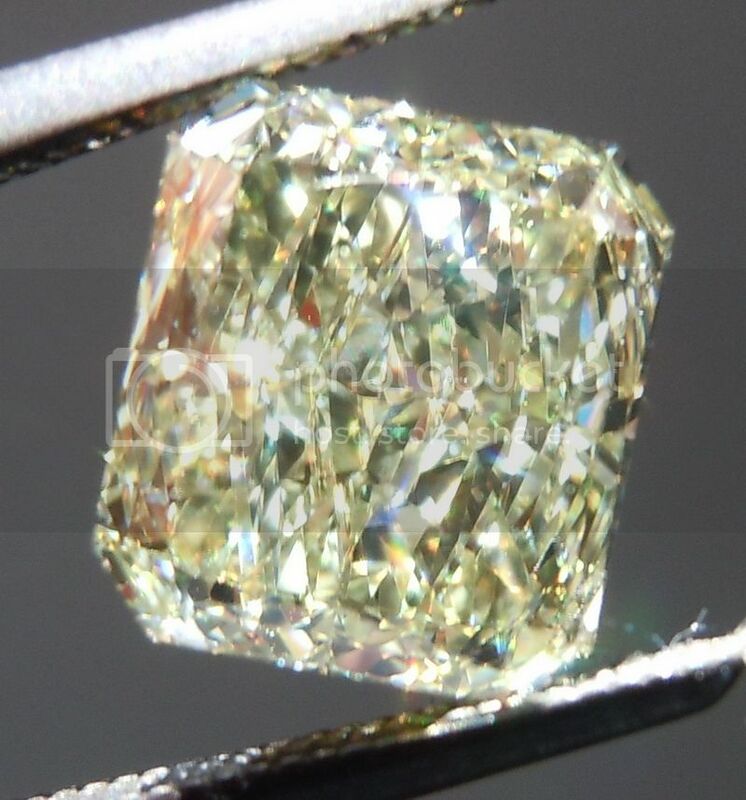 At the center of this piece is gorgeous radiant cut diamond. The stone has a wonderful shape to it - a nice broad rectangle with cut corners. This stone is just full of sparkle. 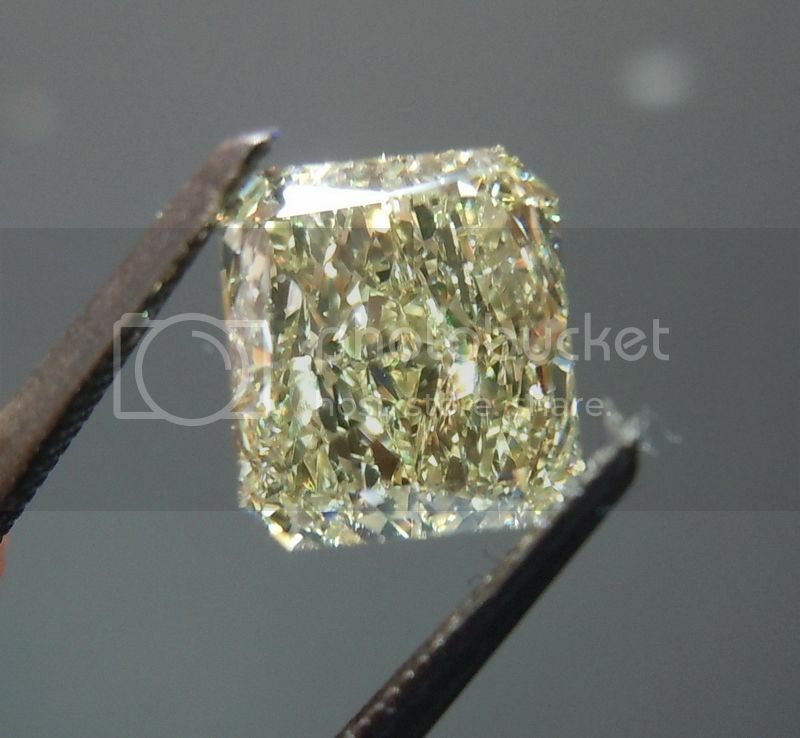 It is a great example of a gorgeous crushed ice appearance. 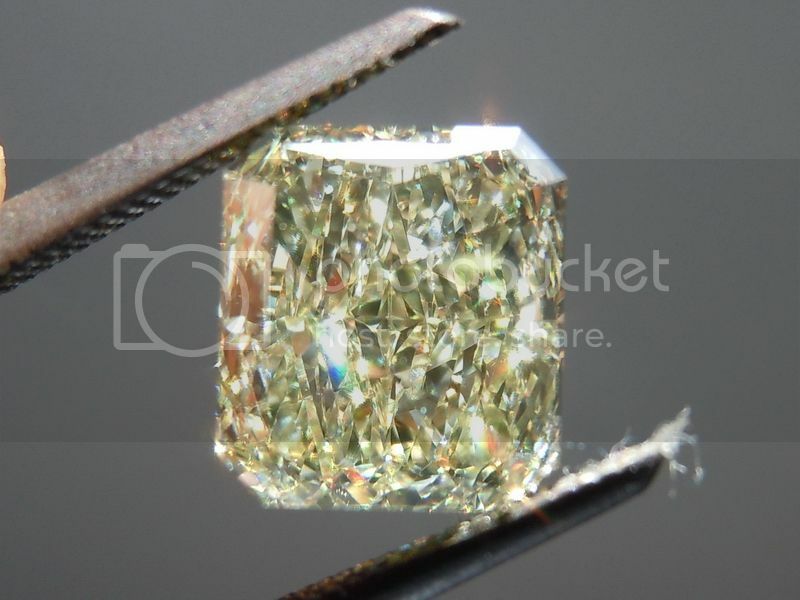 The color on this stone is a lovely shade of lemony yellow. 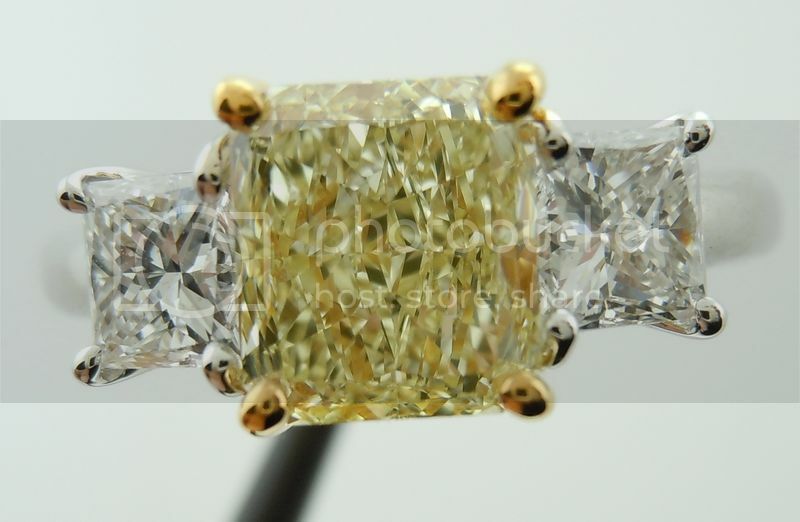 Set in the luxurious 22K Gold and this stone looks much more like Fancy Yellow in color. The clarity is a very clean VS1. This ring is wonderfully made. 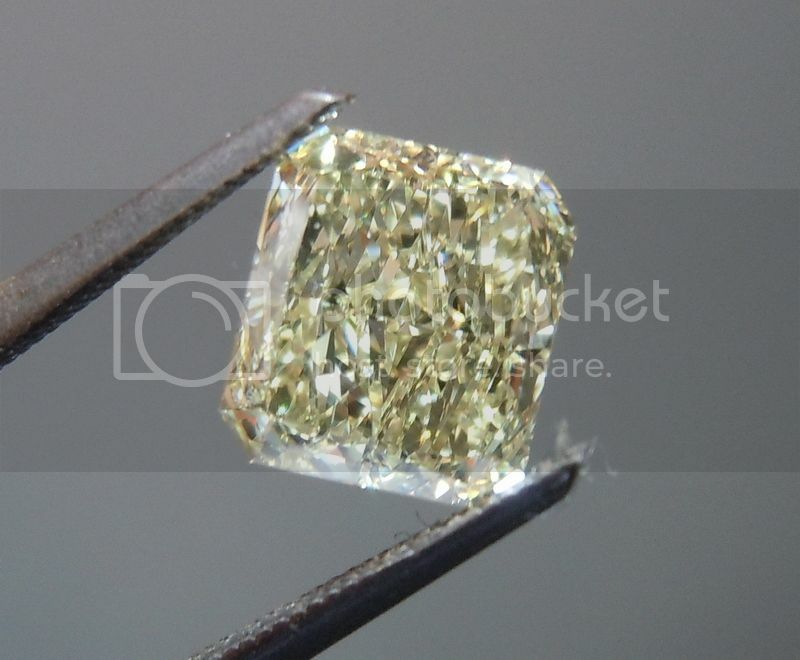 The center stone is set in 22K Gold while the remainder of the ring is done in platinum. The colorless princess diamonds are a perfect compliment in sparkle to the radiant cut diamond. 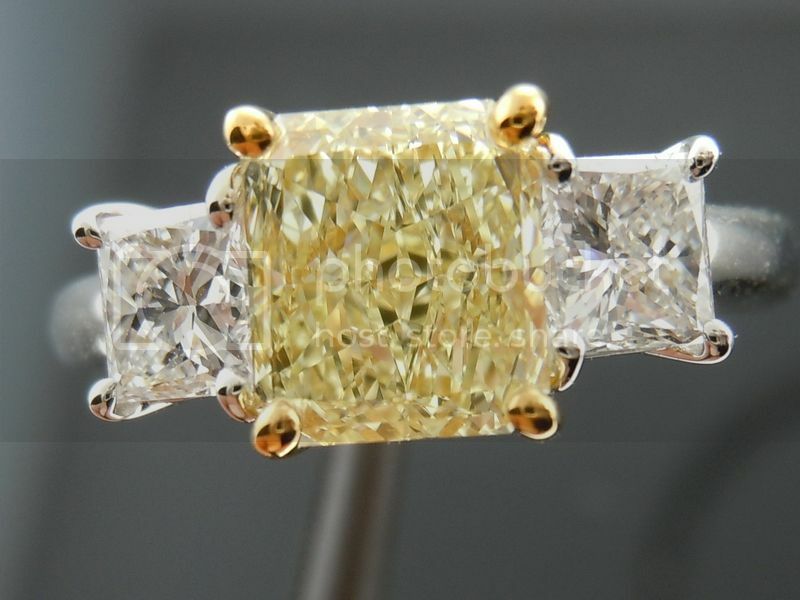 The color contrast adds to the beauty of the ring. The ring has great presence on the hand. The ring has a nice feminine feel to it, yet it is sturdy and very comfortable to wear.